It reduces the amount of hazardous dust coming through the ceiling and light fixtures. To remove a possible source of disease (disintegrating rat, bat and bird faecal matter). It reduces the risk of allergies such as asthma, hay fever and skin irritations. To remove any birds nests or rodent carcasses. 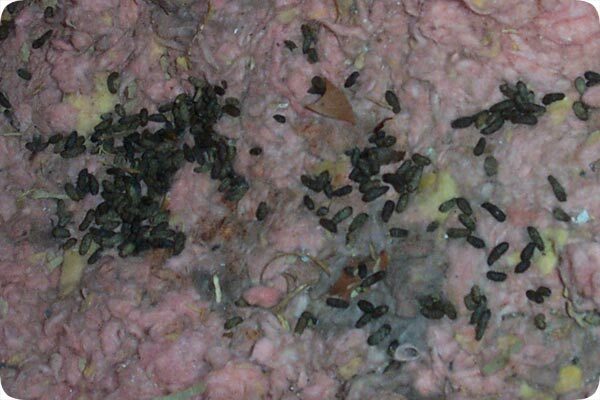 Reduce dust mite and bird lice infestation by removing and treating breeding areas. Firstly we remove any dust ,dirt and rubble from your ceiling cavity. We then vacuum the cavity and provide a free rodent treatment in the ceiling. Finally we spray an eco-friendly contact residual insecticide on all the surfaces to treat for (but not limited to) dust mites, bird lice and cockroaches.